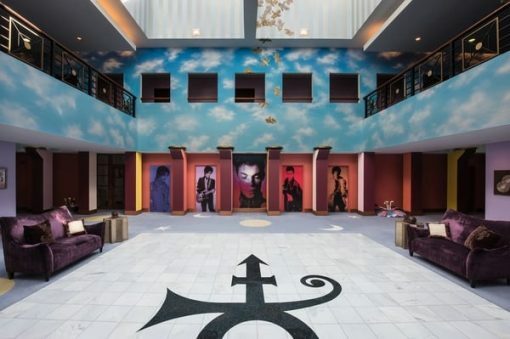 Paisley Park, Prince’s ten million dollar, 65,000 square-foot recording studio and home, is officially open for public for tours and group experiences. Prince’s mythical creative sanctuary was built with state of the art technology and became the backdrop for music recordings, clothing production, artwork and graphic design, music videos, and even full-length films – all showcasing his creative genius. When he was in residence, Prince would frequently open up Paisley Park for spontaneous performance events, inviting guests into the Sound Stage or the NPG Music Club for sets of live music that often went on for hours. Many other notable musicians have spent time recording at Paisley Park, including Stevie Wonder, James Brown, Madonna, Aretha Franklin, Celine Dion, and R.E.M. 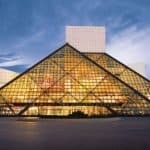 Other artists, such as Neil Young, Jeff Beck, and Stevie Ray Vaughan, utilized the Sound Stage for rehearsals and tour preparations. 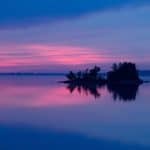 Visitors to this creative sanctuary are offered a choice of the Early Purchase General Admission Experience for $38.50 (limited early admission price for $50), and the VIP Tour for $100.00. More tours are currently under development. The General Admission Experience is a self-guided tour of the main floor and mixing studios, video editing suites and rehearsal rooms, the massive soundstage and concert hall, and Prince’s private NPG Music Club. The tour is about 70 minutes long. 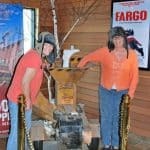 The VIP Tour Experience includes a guided tour with an expert guide who will take you through all the same areas in the General Admission Experience, plus additional rooms and studio areas that hold additional artifacts. The VIP Tour also includes an exclusive photo opportunity. All the extras are exclusively for VIP Tour guests and add an additional 30 minutes to the tour time for a total time of 100 minutes. The Sunday VIP Tour includes a Sunday brunch experience with a special meal of many of Prince’s favorite foods, held in the NPG Music Club and featuring Prince music and videos. Due to the brunch, the NPG Music Club is not available on Sunday for tours. On Saturday evenings, guests are welcomed to the Paisley Park After Dark experience, following in Prince’s tradition of hosting similar events throughout the years. Tickets are assigned for a specific General Admission tour time (VIP tours are not offered after 5:40 p.m. on Saturdays). After the tour, guests are invited to stay until the After Dark experience starts at 7 p.m., ending at 11 p.m. 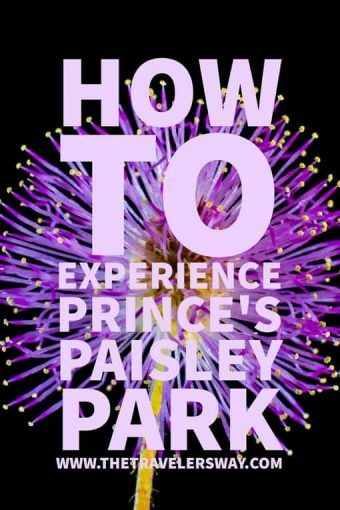 The experience features a live DJ dance party in the NPG Music Club Room and special dining selections are available for purchase at the Paisley Park kitchen. An additional service plus facility fee per ticket, $7.50 for the General Admission Experience, $9.25 for After Dark Experience and $11.75 for the VIP Tour Experience, will be charged. This includes one parking pass per transaction. 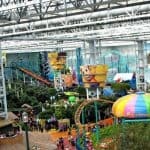 Tickets are required for everyone, and no children under five are permitted. Tickets are limited. Paisley Park hours of operation are Monday -Tuesday and Thursday-Friday, 9 am-7 pm. Saturday 9 am-11 pm, and Sunday, 10 am- pm. Closed on Wednesday. What’s your favorite Prince song? For nearby Bloomington hotel information, reviews, and booking options click here. Disclosure: This post contains affiliate links. If you click through for more information or make a purchase, it may result in a small commission coming our way at no additional expense to you. Doing so helps support this site and we thank you.